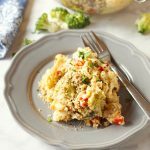 This Garlic Parmesan Roasted Broccoli is a quick and easy side dish that’s healthy and delicious, and made with only 4 simple ingredients! 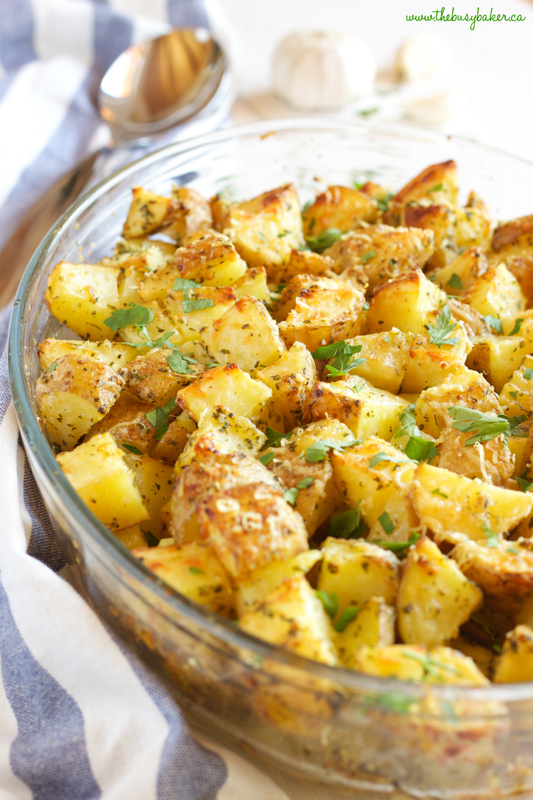 It’s a family favourite recipe that’s the perfect holiday side dish, but it’s delicious any time of the year! 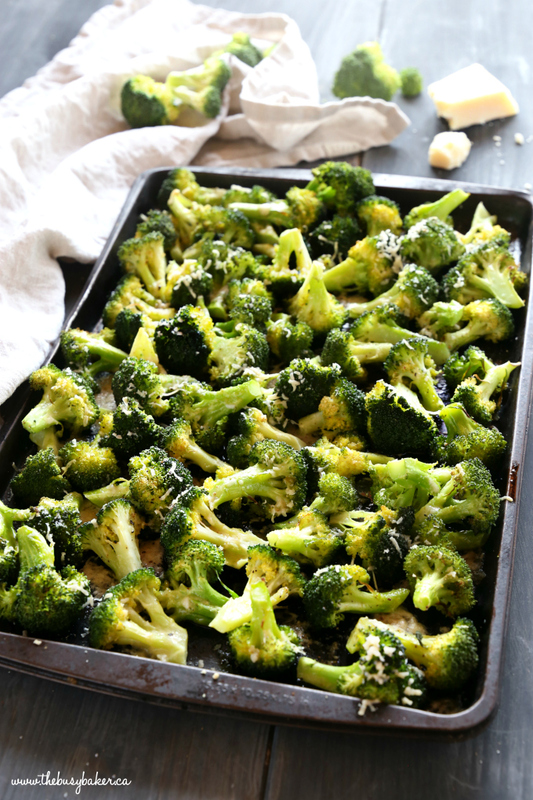 Friends, I’m back with a new recipe for you today: this Garlic Parmesan Roasted Broccoli side dish recipe! 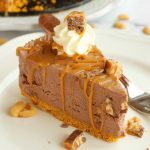 If you haven’t noticed, for the first time since I launched thebusybaker.ca I’ve been keeping up with a regular Monday, Wednesday, Friday posting schedule! 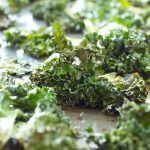 That’s right – I’ve been giving you 3 new recipes each week for the month of January and I plan on keeping that up for the rest of 2018. 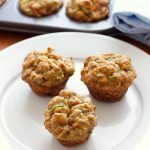 So be on the lookout for all the new recipes that are coming your way, and be sure to subscribe to my email list so you don’t miss a single recipe!! We used to play a game at the Mom’s Group I attended when my kids were babies called “I’ll never win mother-of-the-year because…” and we’d share all our hilarious parenting failures, just to make ourselves feel better and like we weren’t alone in the crazy journey of parenting. It was such a funny game and while I won’t share all my personal parenting failures here on the blog – and believe me there have been a few doozies, like the time I accidentally took my 3-year-old outside for a walk without her shoes on in November (insert face-palm emoji here)…she’s fine, by the way – I will say that one of my parenting successes has certainly been getting my kids to not only EAT their vegetables, but to LIKE them too. I won’t get into all the reasons I think my kids are growing up to love vegetables (although if you’d like more information about my food philosophy with kids I’d be happy to share it – drop me a comment down below!! ), but I will say that keeping it interesting when it comes to veggies certainly helps. That’s why side dishes like this Garlic Parmesan Roasted Broccoli is one of our favourites. 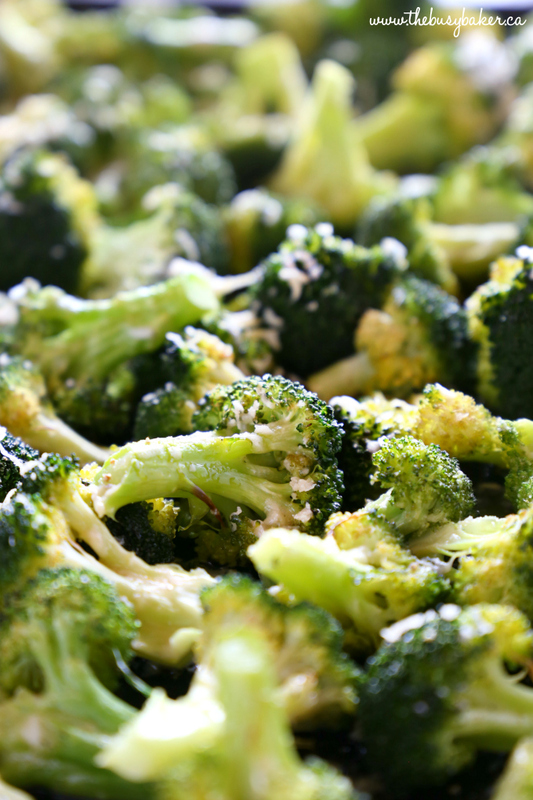 Why settle for boring old steamed broccoli when you can roast it?!? With garlic! AND cheese!!! In 15 minutes or less!! 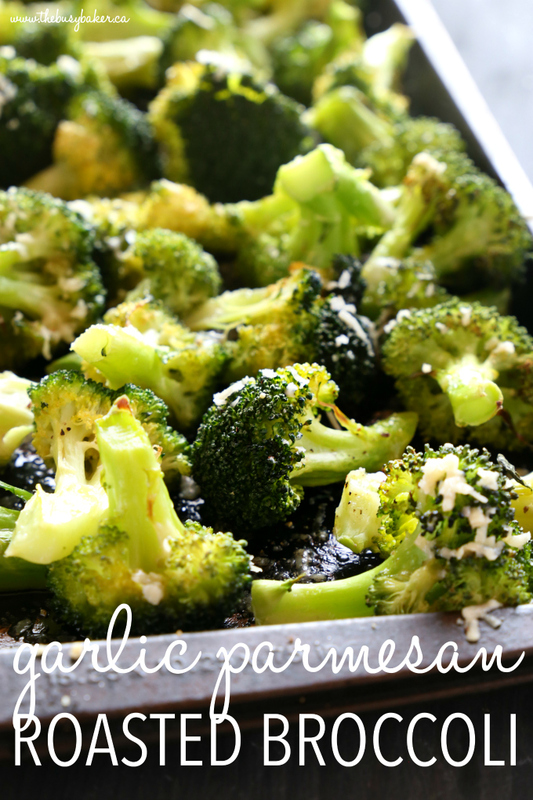 I hope you enjoy this Garlic Parmesan Roasted Broccoli Recipe as much as our family does! Let me know in the comments below, what’s your favourite way to enjoy broccoli? I’d love to know! 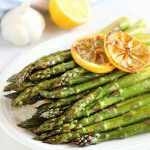 Looking for more delicious side dishes? 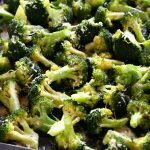 Before you grab the recipe for this Garlic Parmesan Roasted Broccoli at the end of this blog post, check out the recipes I have linked below! 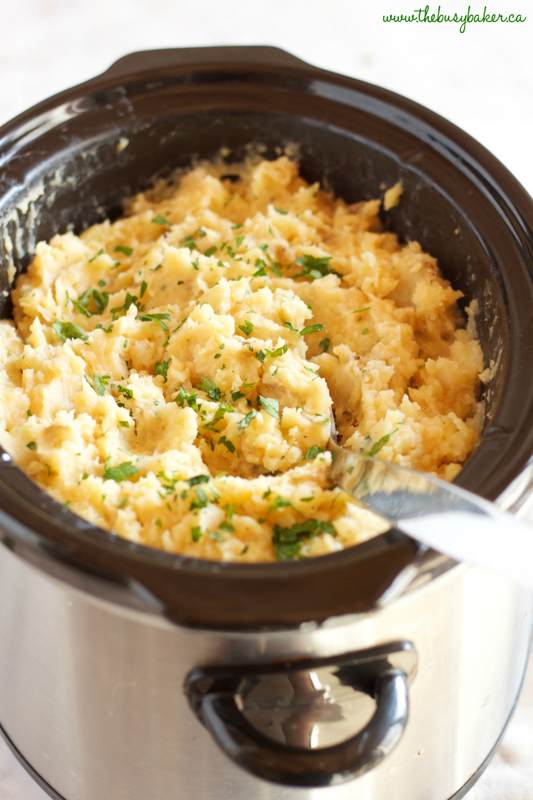 It just doesn’t get any easier than these Rustic Slow Cooker Garlic Mashed Potatoes!! 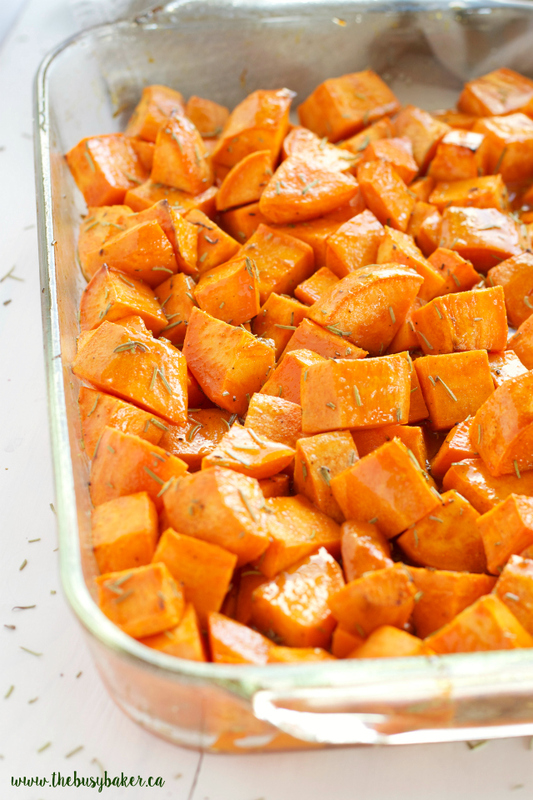 These Maple Rosemary Roasted Sweet Potatoes are crispy on the outside and soft on the inside! 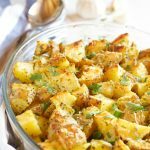 These Garlic Parmesan Oven Roasted Potatoes are the perfect side for all your favourite grilled meats! 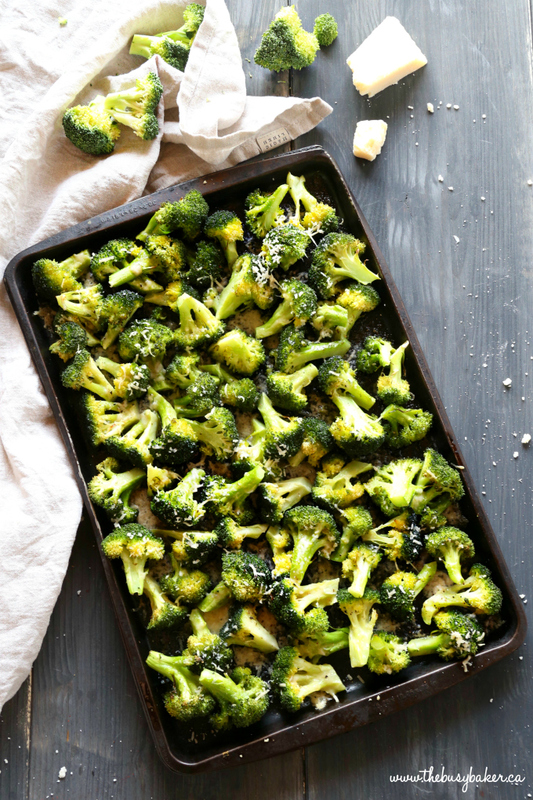 This Garlic Parmesan Roasted Broccoli is a quick and easy side dish that's healthy and delicious, and made with only 4 simple ingredients! 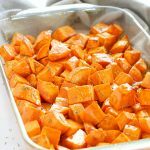 It's a family favourite recipe that's the perfect holiday side dish, but it's delicious any time of the year! 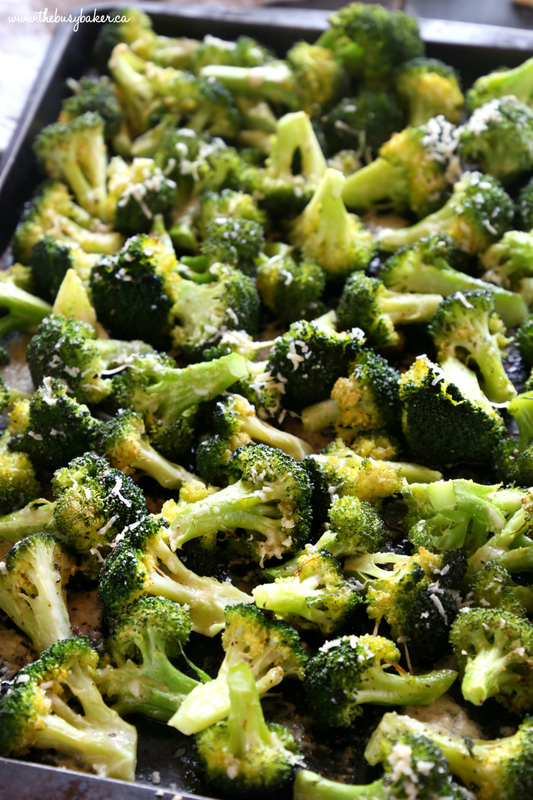 Drizzle the olive oil over a baking sheet and add the broccoli florets, garlic powder and salt and pepper. Bake for 12-16 minutes (depending on desired level of crispiness) at 400 degrees Fahrenheit and serve hot. Feel free to add even more Parmesan cheese to this recipe - I sometimes add up to 1/2 cup along with some red pepper flakes for some spice. The sky's the limit! Ha ha! Thanks! 🙂 Hope you enjoy! !